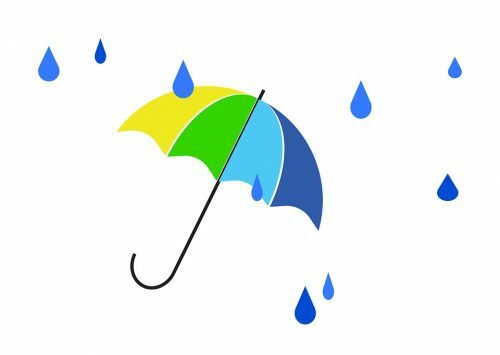 The Friday night “Polo Under the Lights” games scheduled for Feb. 15th are CANCELLED DUE TO RAIN. 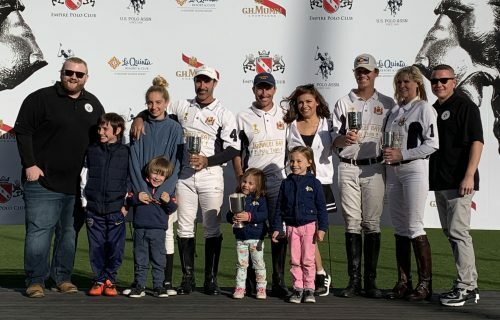 In the 8-Goal Presidents Cup Finals, Ridgeway Hemp, (Beau Staley -1, Meghan Gracida 0, Carlos Hernandez 4, Memo Gracida 5) made it to the finals with three wins, and Lockton, (Jenny Benardoni 0, Tommy Costello 1, Nicolas Maciel 3, Shane Rice 4) came to Sunday’s line-up with two wins. Lockton: Shane Rice, Nicolas Maciel, Tommy Costello and Jenny Benardoni. The game started off with Carlos and Shane each making a penalty shot to end chukker one tied at 1 to 1. In chukker two, Lockton came alive with five goals while Ridgeway Hemp was scoreless. Ridgeway Hemp battled back in the next chukker with three points. 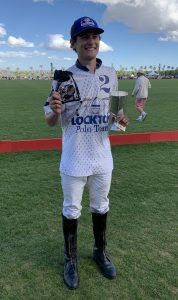 Shane scored his fifth goal and added one for Lockton in the third chukker, which sent to teams to half time with Lockton in front 7 to 4. 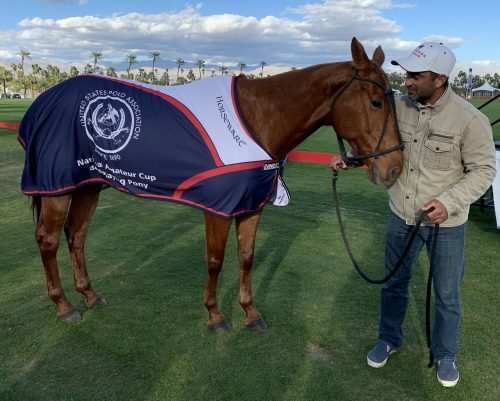 Memo attempted to close the lead by scoring one in the fourth and one in the fifth chukker, which Shane equaled with two goals in the fifth chukker. The teams headed into the sixth chukker 9 to 6. Lockton managed to hold on to their lead and win the game 11 to 9. BPP: Pawn Shop, owned and played by Shane Rice. 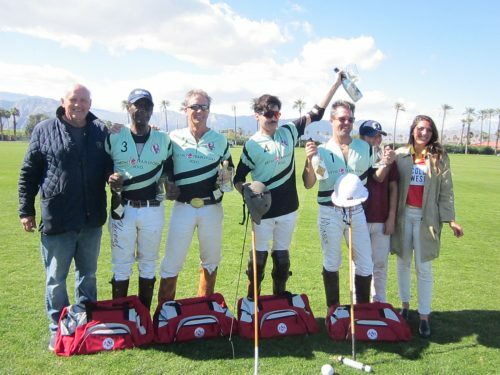 After a three-way shoot-out in the 4-Goal Amateur Cup, Hanalei Bay, (Krista Bonaguidi -1, Joe Coors 0, Ignacio Saracco 2, Luis Saracco 3) and Evergreen, (Tom Sprung -1, Quinn Evans 0, Taylor Freeman 2, Carlitos Galindo 3) advanced to Sunday’s final. Hanalei Bay: Luis Saracco, Ignacio Saracco, Joe Coors and Krista Bonaguidi. Carlitos put the first point on the board for Evergreen, which was answered by Joe Coors’ successful penalty shot. Luis put the ball through the posts, which ended chukker one with a 2 to 1 score. Carlos and Luis each scored one penalty shot in the next chukker. Quinn joined them in the third chukker with making his penalty shot. That put the half-time score at a 3 to 3 tie. In the chilly, windy chukkers that followed, Evergreen scored one to Hanalei Bay’s five. The final score was Hanalei Bay 8 to Evergreen 4. The 1-Goal finals was a round-robin between Vancouver, (Kristen Armbruster -1, Grant Lockhart -1, T.J. Elordi 0, Nicolas Maciel 3), Vashon, (Kim Bergman -1, Stephanie Davidson -1, Becky Schallar -1, Mariano Gutierrez 4) and CPC-Sethi Transport, (Paul Sethi -1, Olivier Climaud 0, Tom Schuerman o, Domingo Questel 2). Vancouver and Vashon ended their two chukkers tied 3 to 3. CPC-Sethi Transport beat Vancouver 3 to 1. Vashon and CPC-Sethi Transport tied 2 to2. CPC-Sethi Transport was the winner of the match by three net goals. Lockton,(Jenny Bernardoni 0, Tommy Costello 1, Nicolas Maciel 3, Shane Rice 4) met STG, (John Ziegler 0, John Bickford 1, Leandro Flocarri 2, Martin Jauregui 5t). John Bickford began the scoring putting one on the board for STG, to be answered by Shane’s two goals ending chukker one 2-1. Lockton’s Jauregui added three, and Bickford made a goal in the second chukker for STG. Rice put a penalty three through the posts, switching the lead to STG, 5 to 3. After Lockton added three points and STG added two in the third time period, the half-time score was 7 to 6, STG. Shane Rice racked up four more points, (a total of nine), for Lockton. STG did add two more points which ended the game 10 to 9, Lockton. 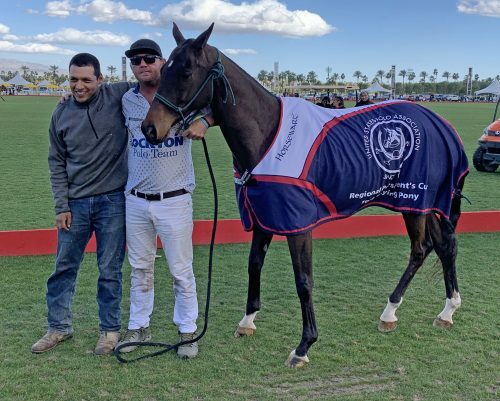 Ridgeway Hemp, (Meghan Gracida 0, Beau Stanley -1, Carlitos Hernandez 4, Memo Gracida 5) were challenged by Club Polo Cabo/Chapel Hill, (Tony Yahayai 0, Bayne Bossom 2, Robert Payne 3, Juan Jo Ganzalez 3). Ridgeway Hemp came out firing and put five points on the scoreboard in chukker one. Juan Jo scored one, ending chukker one, 5 to1, Ridgeway Hemp. Club Polo Cabo/Chapel Hill out-scored their opponent in the second time period closing Ridgeway Hemp’s lead to 6 to 3. Ridgeway Hemp added eight more goals in the game, continuing to out-score PCP/CH, who added seven goals, ending the match 14 to 10. Sunday’s 8-goal President’s Day 12:00 match was between STG and Club Polo Cabo. The teams each scored a goal in chukker one. 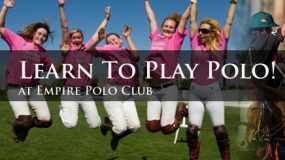 STG added three penalty shots in chukker two, answered by two goals by Club Polo Cabo. Four goals by STG put them ahead at half time 8 to 4, adding one point scored by Payne in the third chukker. It was a crowd-pleasing game as the second half was wide open. 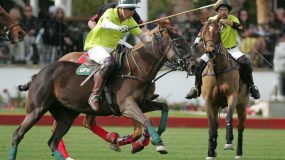 STG added five more goals and out-scored Club Polo Cabo’s four goals in the second half of the game. STG ended up winning the match 13 to 8. Ridgeway Hemp lined up against Lockton for Sunday’s 2:00, 8-goal game. Hernandez put Ridgeway Hemp on the board with a successful penalty two in chukker one. Lockton scored three in the second period, while Ridgeway Hemp scored twice, ending the second chukker 3 to 3. Ridgeway Hemp added two unanswered goals in the third chukker, creating a 5 to 3 lead. 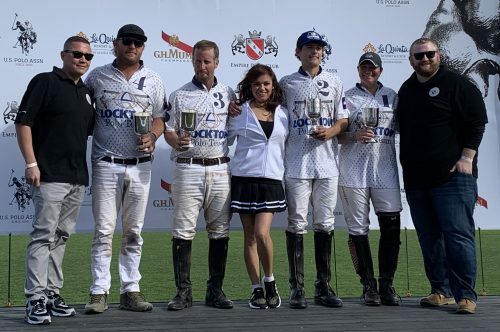 Although Lockton rallied with three scored goals in the sixth chukker, the game ended with Ridgeway hemp winning, 11 to 7. Buffalos, (Ross Adam 0, Piers Bossom -1, Felipe Sordelli 2, Tim Rudy 3) went to battle against Evergreen, (Tom Sprung -1, Quinn Evans 0, Taylor Freeman 2, Carlitos Galindo 3) on Friday, February 1. 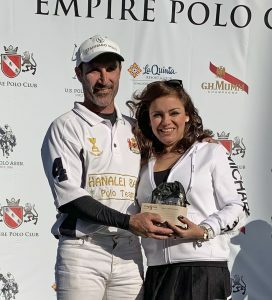 Carlitos wasted no time, and racked six goals up in the first two chukkers. The Buffalos fought back with five goals, ending chukker two, 6 to 5, Evergreen. It was a formidable battle! Half time was a 7 to 7 tie. Evergreen scored three more goals, but Buffalos scored four more goals. Buffalos came out on top 11 to 10, after a four minute over-time! 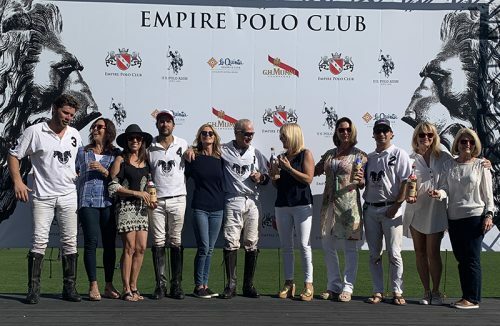 Empire, (Rob Scapa 0, Eric Hammon 0, Jessica Bailey 1, Kyle Fargy 3) took on Hanalei Bay (Krista Bonaguidi -1, Joe Coors 0, Ignacio Saracco 2, Luis Saracco 3). Hanalei Bay scored the first two points, answered by Empire’s Fargyone goal, ending chukker one, 2 to 1. Each team added four goals to their scores, ending the half, 6 to 5, Hanalei Bay. Hanalei Bay added four more in the fourth chukker. Empire put two more through the posts in the fifth chukker. Hanalei Bay was victorious, with a 10 to 7 final score. Monday’s make-up 4-goal games started with Evergreen against Empire. Evergreen scored six goals in the first half, to Empire’s one, ending the half with an Evergreen lead of 6 to 1. Although Empire out-scored Evergreen five to four in the second half, Evergreen won the game, 10 to 6. Hanalei Bay took on the Buffalos. The first two chukkers were fairly evenly matched, ending chukker two with a Buffalo lead, 3 to 2. Then Hanalei Bay added three unanswered points in the third time period, putting them in the lead, 5 to 3. Each team scored five more times, making the final score 10 to 8, Hanalei Bay.